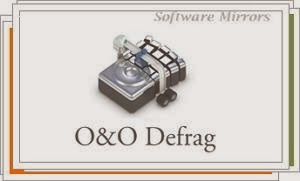 O&O Defrag is a program to defrag your computer hardisk partition for optmizing the performance of your PC. This program is a perfect replacement for the default Windows Disk Defragmenter with many more feature and of course faster than it. Some of the advantages that of O&O Defrag for Windows is flexibility with five different levels of defragmentation, the chance to work simultaneously with multiple hard drives or defragmented automatically when you reach a certain level of disorder are some of the features. O&O Defrag also have a real time monitor on your hardisk, automatic optimization of O&O Defrag is responsible for improving the disk while you work, without interfering or slow down other programs.